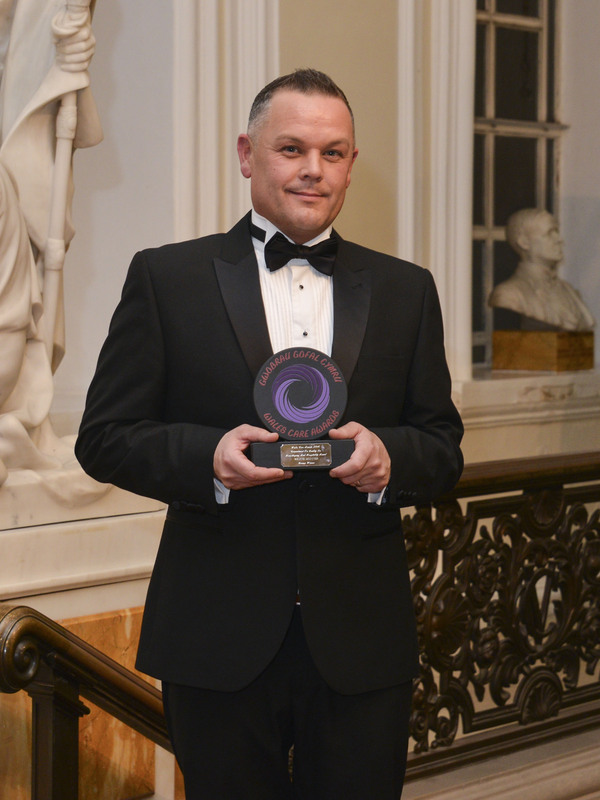 His sterling efforts have now been recognised across Wales after he won a bronze award in the Commitment to Quality in Housekeeping category in the Wales Care Awards 2016, run by Care Forum Wales. The award, sponsored by A Baldwins & Co, is one of a series of categories in the prestigious national awards which acknowledge the hard work and exceptional performances of those in the care sector. Wayne, a self-confessed perfectionist, who grew up in north Devon but lives in Newport, collected the gong at a glittering awards ceremony at City Hall in Cardiff. “I’m very proud of where I work and what everyone has achieved in the company. I have a great team of domestic carers who work very hard,” he said. Wayne is in charge of all aspects of hospitality, including infection control and events management, for 32 men and women across the two sites, owned by Linc Cymru Housing Association. He left Park School Comprehensive in Barnstable in Devon at the age of 16 and was taken on by the famous local pottery firm Brannam Pottery firm in north Devon – which once supplied Queen Victoria and the crowned heads of Europe – a career both his mother and father had followed. After almost four years, he decided to leave the seaside town for the bright lights of Cardiff where he secured work as a hotel cleaner before moving to Newport and working his way up the hotel ladder to become assistant head housekeeper at the Celtic Manor Resort hotel and later as head housekeeper of the Hilton, during a 20-year hotel career. It was when his grandmother Beatrice, who passed away two years ago at the age of 89, was diagnosed with dementia that he first considered a career in care. “She went from home to home and eventually into a nursing home for a while,” he said. “I thought I could offer more and change the way of living for other people. I wanted to change my career path in that moment. “It was heart-breaking to watch her deteriorate, it upsets me even now. My mum decided to nurse her at home for two years and gave her the best care possible. “From my background and skills in hotels I thought I could offer this to our elders and other dementia sufferers who live in care homes. Wayne’s attention to detail is second to none and he admits many of his colleagues say he would make an ideal wedding planner. He has transferred many of the flourishes he learnt in the hotel trade into the care home including perfectly sculpted bathroom towels in the residents’ bedrooms and iron-crisp bed-making. “Some of my colleagues ask me to make the beds again as they say it’s not as good as I do it,” he said. The summer fete in August was no exception and Wayne spent much of the morning before it opened artistically positioning a hay bale complete with gingham table cloth and centrepieces to create the perfect vintage setting. “I like making something out of nothing,” he said. “I can’t stand leaving anything that’s not in place. My motto is go harder or go home. People do say I’m in the wrong job and I should be a wedding planner. “I love what I do and I just wish I’d done this years’ ago. I have a vision for Linc to be the number one care provider of choice in Wales. Mario Kreft MBE, the Chair of Care Forum Wales, said the standard of entries was extremely high. 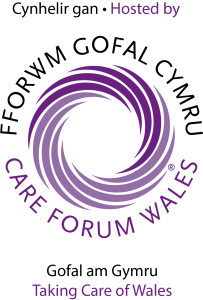 He added: “There are only winners here tonight so it is only fitting that the finalists will receive a gold, silver or bronze Wales Care Award.